Moisture is essential to keeping skin and hair looking healthy, supple and smooth. 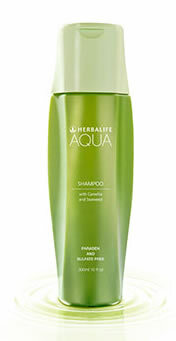 Moisture is what Herbalife Aqua Shampoo brings in abundance to your hair from root to tip. Combining natural botanicals, Herbalife Aqua gives your crowning glory a vitalizing glow from the inside out.